Medical and academic conferences are an old and important part of the medical professional landscape. However, there seems to be a growing and questionable trend of how conferences are used in rare disease communities. In this section we’ll help you navigate how to find value and how to avoid a waste of your time, money, and precious hope. It can be confusing to navigate the conference landscape. To help cut down on the clutter, simply ask these two questions: what is being promised on the part of the conference and what are your expectations? What is being promised & what are your expectations? If a conference is advertising itself as simply a chance for patients of a rare disease to meet each other, find others who understand what you’re going through, and as a means to connect the patient community, that’s certainly an admirable cause. But in that instance, is a conference really the best means to accomplish that goal? Why would you need to rent a large, expensive conference center to simply help people meet each other? Couldn’t that be accomplished in a less cost prohibitive way? Alternatively, if a conference is posed as a way to speed up the diagnostic process, fund research, or put specific “experts” up on a pedestal, that is highly questionable and not the behavior of a legitimate medical conference. Conferences simply aren’t used as a fundraising vehicle for legitimate research. Legitimate researchers also don’t attend conferences in order to boost their egos or somehow build a following of adoring fans. That’s not the behavior of a scientist, but of a would-be celebrity. 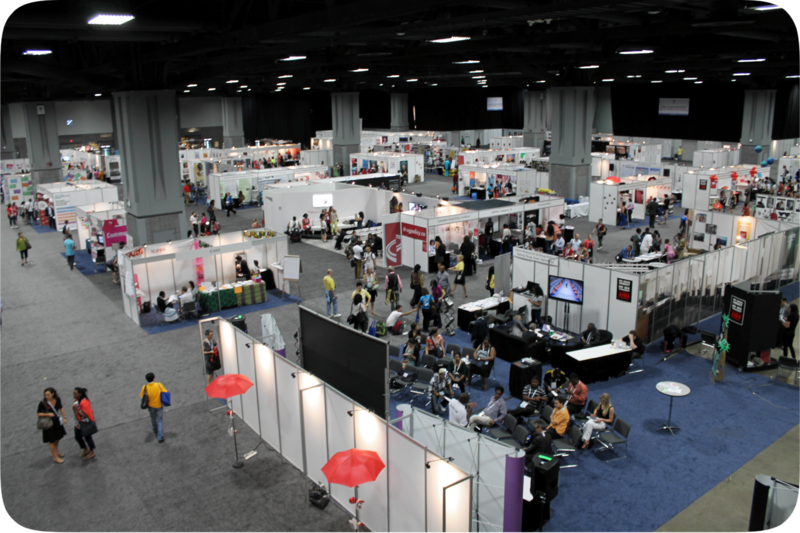 Legitimate researchers attend professional conferences to learn, to challenge themselves, to meet other researchers. Hence why most medical conferences aren’t open to patients in the first place. If any of this sounds remotely similar to a conference that’s trying to earn your money, please be very wary. Medical advances don’t take place in conference halls. Cures won’t be handed out to conference goers who pay high fees for a ticket. You don’t need to pay to meet people who understand what you’re going through. If anyone is trying to convince you otherwise, please question what their motives might be in doing so. Do they really have your best interests at heart? Are you expecting a faster diagnosis? Are you expecting a miracle cure? Are you expecting secret, hidden answers that just aren’t available anywhere else? Are you expecting to meet a previously unavailable expert? Are you hoping for any kind of shortcut? Do you think that by paying for a conference ticket, you’ll somehow contribute to finding a cure? If so, please pause and consider carefully. Does any of that seem truly reasonable? Or is it far more likely that someone is trying to feed you those expectations purely to enrich themselves? We certainly understand how difficult, painful, and excruciating it can be living with Dercum’s Disease. Many of us would do absolutely anything to get rid of the pain, to find a cure for ourselves and for others. To get our lives back. To get control over our bodies. To stop feeling like a burden. No conference can make those legitimate, understandable wishes come true. If someone tries to tell you otherwise, they’re trying to sell you something. Something that just can’t truly be sold. If, however, your only expectation is to meet other people who share your diagnosis, who understand what you’re going through, that is perhaps something a conference can legitimately offer you. But before you spend a great deal of money on tickets, travel, and hotels, ask yourself if that’s the most efficient way to accomplish that goal. Would email be faster and easier? Would arranging a local meet up for lunch be just as effective without being so cost prohibitive? Please be careful and wary. There are too many people out there who are too eager to take advantage of the desperation that understandably comes from living with a rare and painful disease. Protect yourself and you’ll help protect the Dercum’s community as a whole. Science is at the heart of good medicine. It's what leads to breakthroughs and what keeps you safe. We are dedicated to only providing information that can be traced back to peer-reviewed medical journal articles. Why? Because your life may depend on it. Please, do your research and always insist on science-based medical information. We get a lot of questions from patients and their families. In order to get answers for you as quickly as possible, we've compiled a page filled with the most vital information to satisfy your most urgent questions. We hope you'll take a look! As always, if you can't find the information you need, we're happy to hear from you. The Dercum Society was founded by Heather Lawver Sewell, herself a sufferer of the disease. The Society is an informal gathering of Dercum's patients, their families, and doctors, dedicated to making scientific information about the condition more readily available to the general public. We do not solicit nor accept donations.